What better time to travel than during the holidays and what better companion to travel with than your pet. Holiday travel is one of the best experiences that you can have with your pet. While ensuring the itinerary is necessary, traveling with a pet entails a few extra steps. When planning to travel, make sure your pet is in good health. 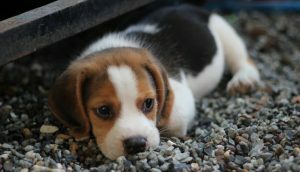 Your pet needs to be healthy and cleared by the vet to travel. You need to inform your vet of the mode of travel, whether you are going to travel by train, plane, automobile, etc. If it is your pet’s first trip, get advice from your vet as to what should be done in certain situations and how you can handle it. Once your pet is cleared for travel, you can always try and take a trial trip to determine whether it has any symptoms of car sickness. This is extremely necessary for cats as they do not like travel as much as a dog would. A harness, a leash, anything else that can keep your pet safe from accidents. Especially when you are driving, teach your pet to stay in its harness and tie the seat belt properly. Determine what kind of traveling you will be doing and get the exact gear for it. All harnesses score differently, and you might need a different type for your specific requirements. Also, make sure that you know how to use the specific gear. Always pack a bed for your dog and adequate water whenever you travel. Make safety a priority, and by this, we mean that your pet is sure to wander off and go on adventures on its own. This can pose a problem as they might get lost or contract some disease. Make sure your pet is vaccinated before you go on a trip and you either get your pet microchipped or add GPS tracking to its collar. Also, make sure you have a list of all the vets nearby and where to go in an emergency. Make sure that the phone number on your tag is up to date and the one you are carrying with you and not your home number. Pack everything your pet might need, everything! Not the whole house but the things that your pet might need. Some cats are extremely picky about the litter in their litterbox. Treats are another important factor, and pets themselves, as well as their digestive systems, will not prefer a new type of treat. Their favorite toys and their beds are necessary to make them feel safe and comfortable. Pack all the necessary medication and bandages that might come in handy for your pet. 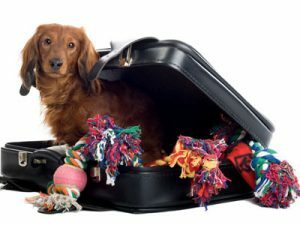 If you are travelling by air, you cannot do a trial run and prepare beforehand, it will be the first time your pet is stepping into the situation. For ESAs it is easier to get a seat but if the pet is just your companion, make sure that it can fit comfortably under your seat and is close to you at all times. Decide your flight dates and days when there is less traffic and hustle at the airport or on the road. Crowds can confuse your pet and cause it to act out. Try to take your pet out to crowds before traveling this will help it get used to the idea of crowds and unfamiliar faces. Try to travel a few days before celebrations begin or after and do not take flights the exact day when the event ends. Take all the recommended measures beforehand and do not neglect any of your pets or your medical condition. Travel safe.